My kids love to whine and they love to say no. During the summer, this gets really old, and I get tired of nagging them to be helpful and cooperative. 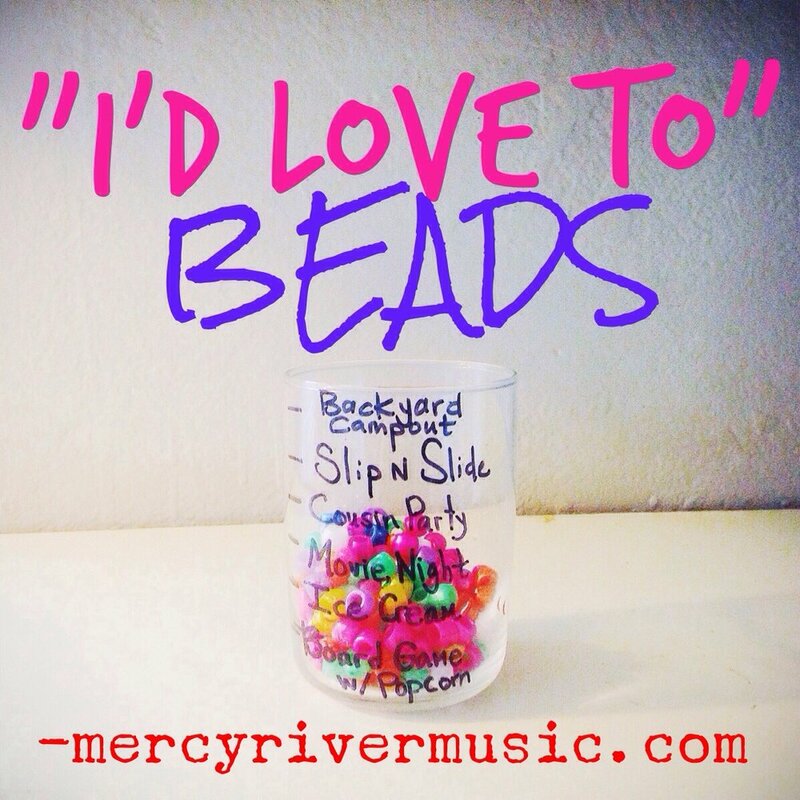 A few months ago I found this idea from a smart mom who encouraged her kids to say, "I'd love to!" every time they were asked to do something. She put poms poms in a cute jar and when it was full they went out to ice cream. I knew immediately I could make this work for us, with a few changes. First, I chose beads instead of pom poms BECAUSE THEY FIT IN MY POCKET. Every time a kid says the magic words, I've got a bead right there (and I don't have to excuse myself to go get a bead from my hiding place so kids aren't stealing them and adding them to the jar. What? Your kids wouldn't do that? Oh. Um, neither would mine). Obviously, any small item would work- dried beans or small pasta pieces, buttons, pebbles, whatevs. With a small, clear drinking glass and some sharpie magic, we were good to go. Also, my pre-teens needed something more than ice cream to motivate them. We came up with some fun, easy rewards and they liked being rewarded along the way. Our rule was if they were asked to do something, and said, "I'd love to," and then DID the task, they could come back to me for a bead. Seriously, my kids went NUTS. I was surprised how effective it was. They were reminding each other to say the magic phrase, and even trying to invent ways to help so they could earn beads. It was a lovely few weeks. So load your pockets with ammo and enjoy the results! And comment below with YOUR ideas to foster cooperation, respect, and manners in your home. We'd love to hear from you!